They say you first eat with your eyes, then with your mouth. So there is nothing more gratifying than being served a tantalizing plate of sweet treats that taste as divine as it looks. 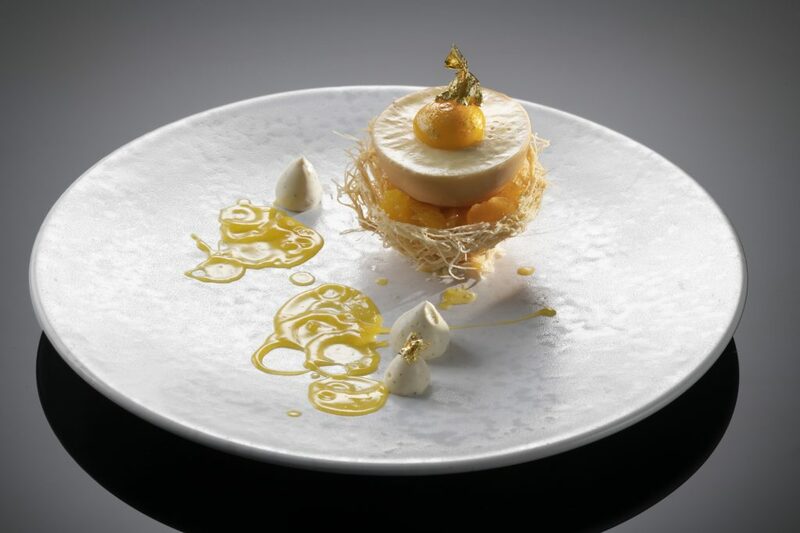 For the sweet-tooths mingling in the “Big Durian”, tease your eyes and indulge in one of these gourmet desserts that are innovative, unique and too pretty to eat, but oh-so worth the calories. finished with a hint of gold foil. Here comes an elevated version of a popular and simple local dessert called Klepon. Traditionally, these round balls are made of pandan flavored, glutinous rice flour that is stuffed with liquid palm sugar and rolled in grated coconut. 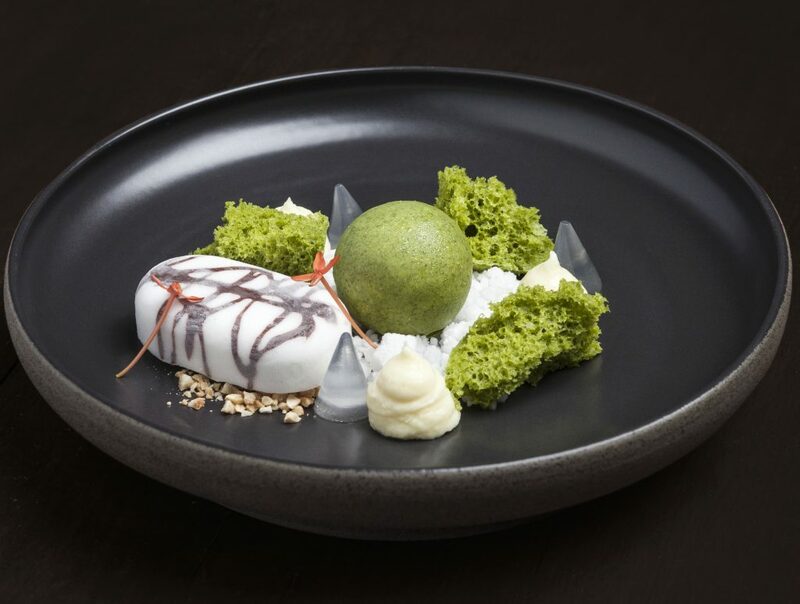 But, keeping in mind the Klepon’s classic fragrant and sweet flavors, Nusa Gastronomy brings a more modernized and deconstructed version to town, with a chocolate twist. Nusa transformed the Klepon into a green pandan mousse sphere, which is also filled with the essential liquid palm sugar. And adding to its already fabulous flavor is some coconut jelly, coconut milk sorbet, and shorgum sponge cake, on the side. 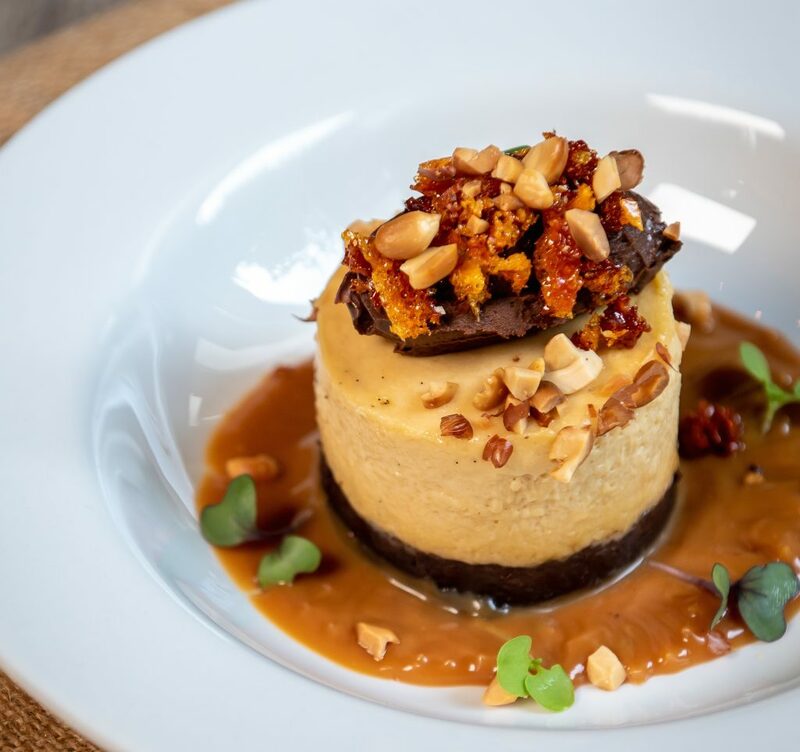 Behold GIA’s heavenly creamy and soft peanut butter pudding – an astounding dessert that is topped with soft yet rich dark chocolate and brittle honeycomb flakes, which is then drizzled with its timeless partner, salty caramel sauce. 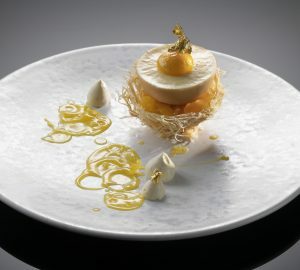 Indulge in what this dessert has to offer, simply with just one bite: a sensational balance of sweet and salty, complimented by the perfect marriage of soft and crunchy textures. 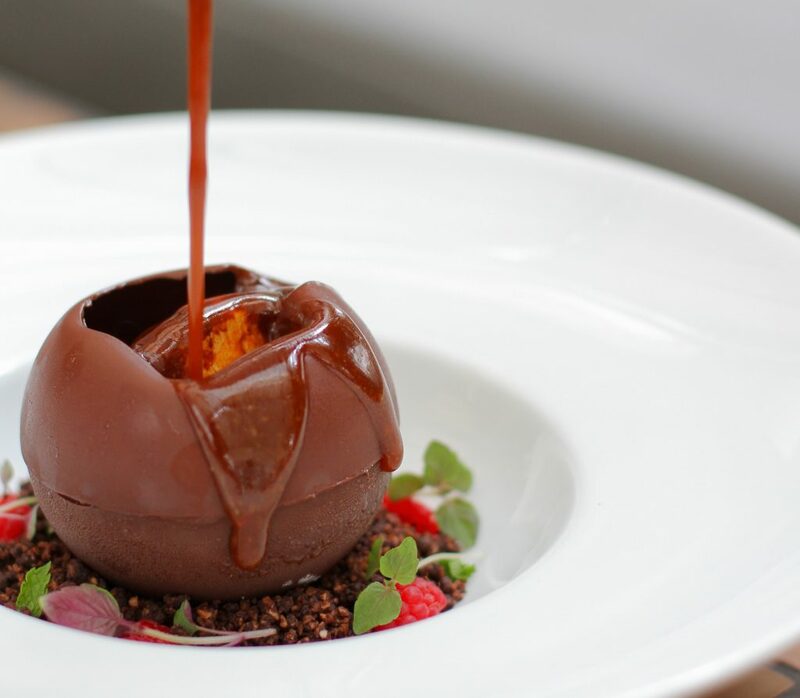 Don’t be fooled so quickly by its humble appearance, because just seconds away you will find hidden underneath the dark chocolate dome is a rich and smooth peanut butter mousse. How do you get to that sweet spot, you ask? Simply pour a generous amount of hot caramel sauce on the top, and watch as it gracefully melts the dome away, while gliding down to blanket the chocolate soil underneath. With just a spoonful of this dessert, your palate will also experience an additional burst of flavors from the accompanying honey crumb chunks, caramelized nuts, raspberry fruit as well as classic vanilla ice cream.